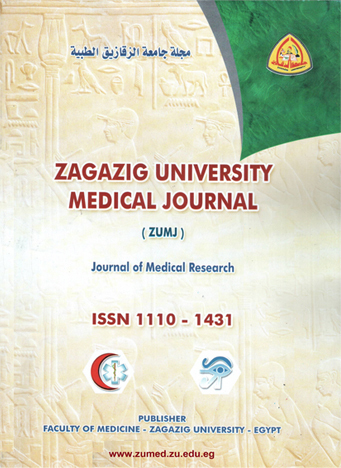 1General Surgery Department, Faculty of Medicine, Zagazig University. Background: Sentinel lymph node biopsy (SLNB) has become the standard method for axillary staging of breast cancer with reliable accuracy and less morbidity compared with axillary lymph node dissection (ALND) aiming to minimize the rate of patients with negative axillary status who undergo ALND and restricted only to patients with positive axillary lymph node. Objective: To compare the results of SLN dissection only and that of ALN dissection regarding the morbidity and locoregional recurrence. Patients and methods: A hundred patients with histologically confirmed invasive breast cancer T1/T2N0M0 and SLN positive for metastases (≤3 SLNs) were entered the study and divided randomly into two groups. Group I: Fifty (50) patients underwent SLN dissection only. Group II: Fifty (50) patients underwent SLN dissection and ALN dissection. Exclusion criteria: Patients with >3 positive SLNs, patients with matted nodes, patients with gross extranodal disease and patients received neoadjuvant hormonal therapy or chemotherapy. Statistical analysis: SPSS version 15. Results: Adverse surgical effects were reported in both groups. In SLND group (6%) had seroma while in ALND group (16%) had seroma, wound infection was (4%) in SLND and (8%) in ALND, postoperative parasthesia after 1 year was (16%) in SLND and (44%) in ALND, postoperative lymphoedema after 1 year was (4%) in SLND and (10%) in ALND and axillary recurrence was (2%) in SLND and no recurrence in ALND. Conclusion: SLND mapping and excision is the standard of care for axillary staging for patients with early invasive breast cancer and clinically node-negative disease.